The sins of the fathers. The souls of the innocent. 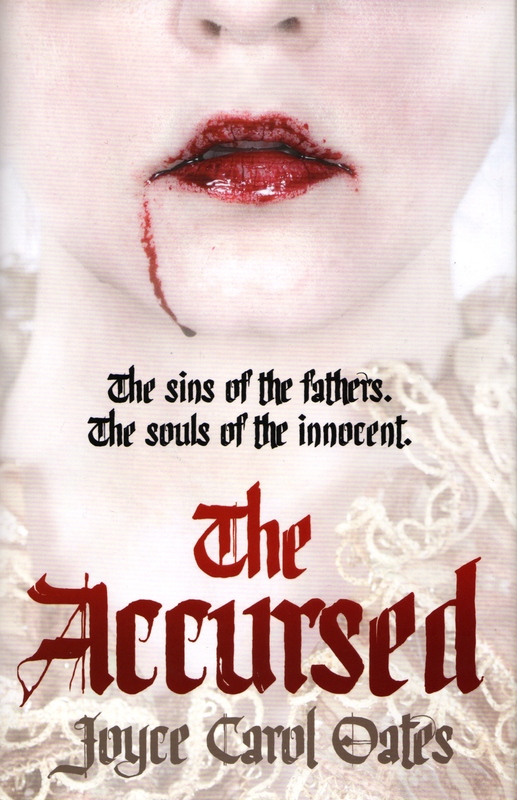 The Accursed is a Gothic tale which tells the story of a curse which has apparently fallen on the town of Princeton between 1905 and 1906, featuring a mixture of real and fictitious characters and some quite grotesque events. Joyce Carol Oates is one of my favourite authors and this looked to be an unusual addition to her remarkably large body of work. Well. This is without a doubt one of the oddest books I have ever read. I don’t actually have the words to describe it (and I’m not alone in finding writing about the novel difficult because Stephen King reviewed it for the NYTimes and had a similar issue but handled it significantly better as you would expect). There is a kidnapping at a wedding, a mysterious stranger with an unnatural influence over the townsfolk, a series of murders (all very unpleasant), cover-ups, political intrigue and a fantasy world of cruelty and despair. And a secret which looms large over one particular family. All about as Gothic as it’s possible to get. Astonishing. Difficult. Lengthy. Purple. Cover implies vampires but if they’re there they aren’t your usual suspects. Did I mention it’s astonishing? Took many hours of my life. Not entirely successful as a novel but blimey, quite an experience.